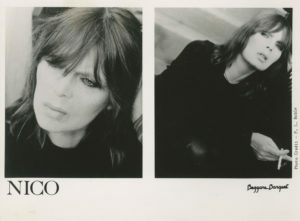 Nico modelled for Chanel, appeared in Federico Fellini’s La Dolce Vita, sang for The Velvet Underground and released a string of truly inimitable solo albums that influenced a vast range of artists from Elliott Smith to Throbbing Gristle. Yet despite such accolades landing her with true cult hero status, there’s some periods of Nico’s life that don’t fit as neatly and glamorously into her timeline: such as her seven years spent in Manchester between 1981-88. Moving from Paris to New York, the German-born artist left the modelling and acting world and leapt into a musical one, famously falling into Andy Warhol’s circle and onto the The Velvet Underground’s seminal debut album. Between 1967 and 1974 she then released four solo albums. Her debut, ‘Chelsea Girl’ – penned by friends and collaborators like Lou Reed, John Cale, Bob Dylan and Jackson Browne – is a collection of wistful folk-pop, humming with breezy, infectious melodies and hushed vocals that feel like extensions of the softer side she brought to the Velvet Underground. When encouraged to write her own material, Nico gained a new sense of individualism on albums such as ‘The Marble Index’ and ‘Desertshore’. Gone were the gently plucked acoustic guitars and sweet vocals and in was a droning harmonium, songs about death and decay and a voice that plunged new depths and forged new tones. This period birthed a newfound identity both sonically and aesthetically: gone too was the blonde hair and pristine white clothing and in was dyed hair, black clothing and scuffed motorcycle boots. What comes next is a lesser known, unexplored black hole of Nico’s life. After 1981’s ‘Drama of Exile’, Nico found herself in the rather unexpected city of Manchester and remained there for the best part of a decade. Initially paired up with a local promoter (who replied: “who’s he?” when asked to put her on), Nico soon found herself managed by this man, Alan Wise. Stella Grundy saw Nico for the first time at 16 and had her life changed. At Manchester Library Theatre in a room thick with cigarette and marijuana smoke, she recalls a set that was “beautiful, powerful and dark.” Ignoring the heckles for Velvet Underground tracks such as ‘Heroin’, Nico played Grundy’s request of ‘Frozen Warnings’, which she’d nervously called out for. “I was enraptured. From that night on I decided I wanted to be an artist, writer, singer – anything to be part of this world.” Grundy would go on to be in bands such as Intastella and in 2007 wrote a multi-media play about Nico that ran for two years and is also now available as an eBook. Grundy recalls seeing Nico drink in the local pubs of Prestwich, where apparently she would play pool with the locals who had no clue who she was. Occasionally she’d be pestered by people that did. “She didn’t like fans of the Velvet Underground mithering her about those times, although she was happy to write messages and autographs for people when asked. I’ve been shown a few of these items. Some people were unkind to her and took advantage though.” Grundy saw this up close as her boyfriend at the time even went backstage and stole her heroin needles as some sort of cultural memento from the “queen of the junkies”. Grundy even recalls being told that someone had stolen her diary. 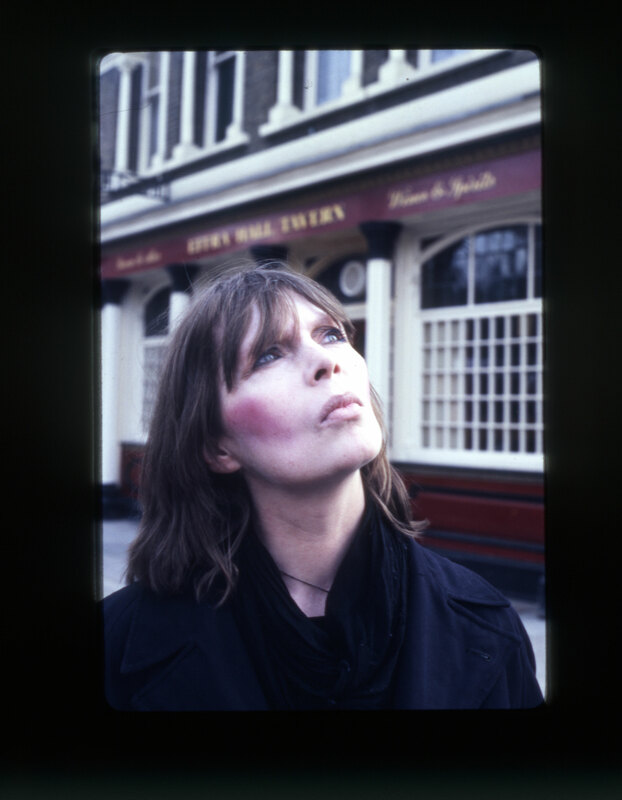 Nico and her band, the Faction, would make one last studio album, 1985’s ‘Camera Obscura’. The following year she made some significant changes in her life, as Young tells me: “In ’86 Alan persuaded Nico to go on the methadone programme, especially since her main reliable dealer had been busted and was in prison. I think this was a mistake. Methadone is a horrible drug, it zombifises people. I didn’t like what it was doing to her. I guess it made her easier to manage – no more running around to find a connection. Her health seemed to decline after that. We did a concert in Berlin at the Planetarium together and it was clear that she wasn’t well. She wanted to go to Ibiza to rest and review her life. I think she knew she was dying.” A short time later, in 1988, whilst in Ibiza, Nico did die, suffering a brain haemorrhage whilst out on a bicycle.